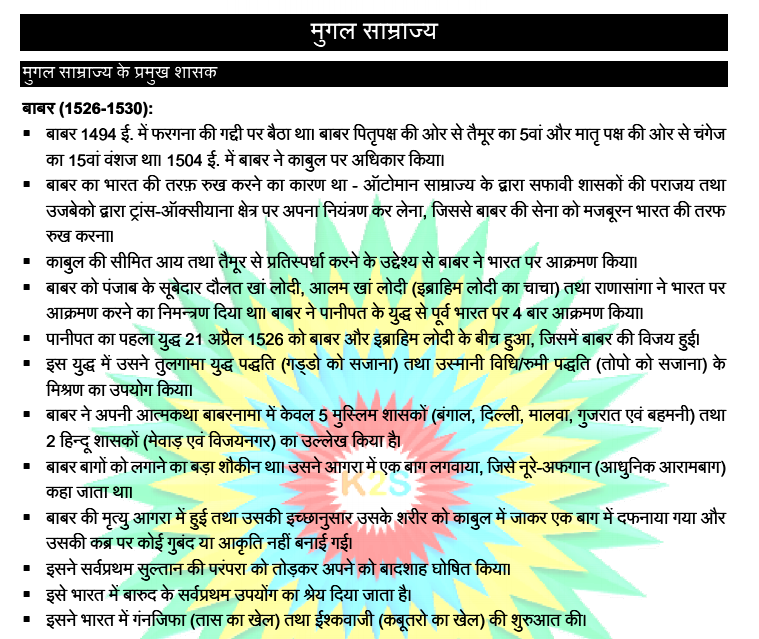 Hello Friends, Today we are sharing with you Notes on the Mughal Empire in Hindi. This Notes contains a detailed description of the history of the Mughal empire. This is very helpful for various competitive exams . You may download pdf from the link provided given below.